The Elstead Lighting Aleeka 5 Light Ceiling Light, Like The Sun Attracts The Planets, Uses Celestial Inspiration To Create It's Own Gravitational Force. 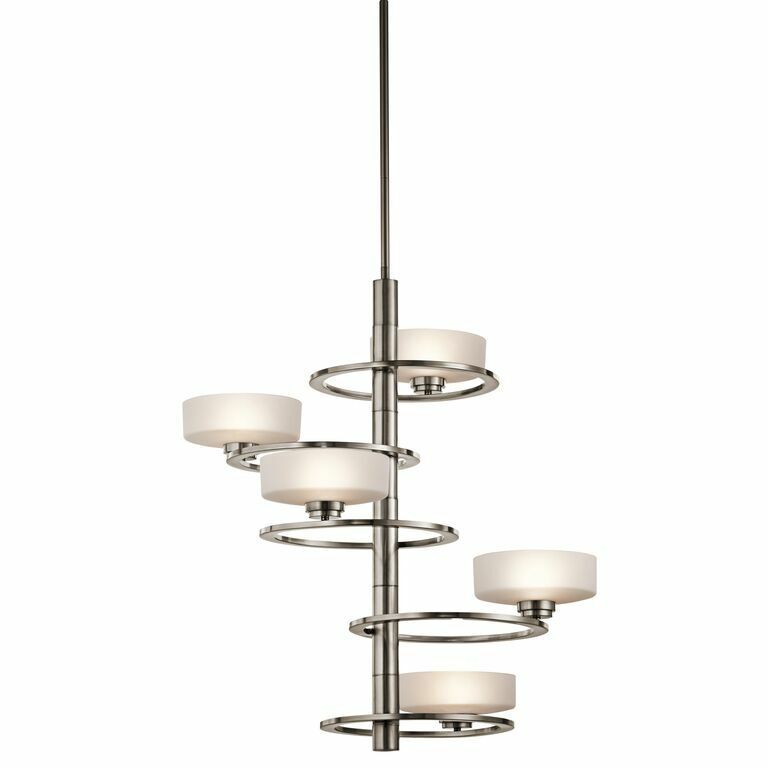 The Concentric Rings Of The Aleeka 5 Light Ceiling Pendant From Kichler Lighting Orbit Around The Slim And Sleek Cylindrical Centre Column. Oval Globes Seem To Float Almost Weightlessly, Whilst The Classic Pewter Finish Delivers The Final Soft Contemporary Touch.